The Eurovision has always had a firm following in Norway, with broadcaster NRK practically guaranteed solid viewing figures and the final show has more often than not figured at the top of the statistics among the most watched programme of the year. NRK were in for quite a shock this year. The one Saturday evening in May has always enjoyed something of a traditional status in Norway for famililes to gather around the TV to watch the final of the Eurovision Song Contest and has been so for many years. When Alexander Rybak cruised to victory in Moscow in 2009, a record was broken, with an astounding 2.292.000 viewers tuning in. The following year, the positive viewing trend continued with 2.100.000 viewers following Didrik Solli-Tangen in the final. A slight downturn perhaps, but nevertheless enviable viewing figures for the channel. This year, however, things took a completely different turn. A mere 1.094.000 viewers chose to spend their Saturday evening cheering on birthday boy Tooji performing Stay, which is practically half of the viewing figure from 2010. Quite the rude awakening for NRK in other words, but does this signify the end of the love affair between Norwegians and the contest? NRK have taken a closer look and analysed the figures and factors that could have affected the audience share on the 26th. You may be relieved to hear that on the contrary, NRK claim that Norwegians still can’t get enough of Eurovision but that the programme suffered such drastically fewer viewers because there was at that time fine weather in most of the country, which probably lured many outdoors for the evening. Another very important factor that came to affect viewing figures was that a national football match, Norway versus England was being shown at the same time on another channel, which managed to attract at least 300,000 viewers. 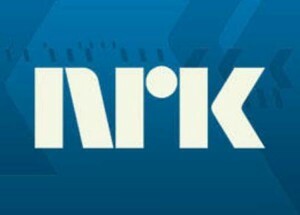 Despite disappointing viewing figures for this year’s contest, NRK still managed to gain a 74% market share, which they are extremely pleased with. Not unexpectedly, ths story was another in neighbouring Sweden, where 3,6 million viewers chose to tune in and watch Loreen smash all competition, bringing Sweden a much longed for victory, their first since 1999.